Sure, we're heading towards winter but it's never too early to start thinking about Spring! Not new to the gardening scene but growing in popularity is the Rio dipladenia. Originating from Brazil, this hardy plant has seen a steady increase in the North American market over the past several years due to its tropical aesthetics and low-maintenance growing attributes. Rio dipladenias offer flower lovers the delicate blooms of tropical flora while being hardy enough to withstand a full spectrum of weather conditions – anything from periods of hot sun and drought to cool temperatures and significant rains. Combined with its tolerance for disease, Rio dipladenias are the ideal plant for veteran gardeners, newbies and the "green-thumb challenged." Rio dipladenias produce beautiful bright blooms and lush foliage yet are hardy enough to thrive in non-tropical climates from mid-May to mid-October. They are both the perfect bedding plant and an outstanding accent for hanging baskets or planters. Tropical plants and cooler weather may seem like an unlikely combination, but the Rio dipladenia is heat and cold tolerant. 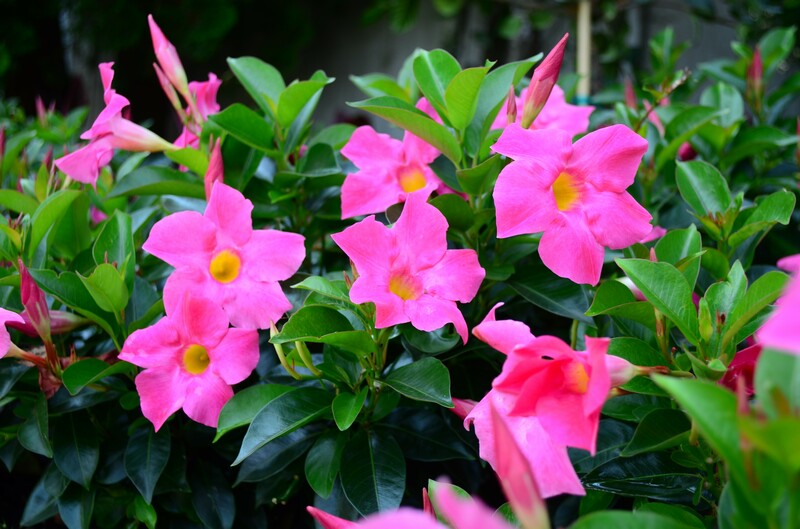 Rios are available in white, pink and deep red trumpet-shaped blooms. They perform best with four or more hours of direct sunlight daily. Rios are heat and drought tolerant. They flourish in dry or humid climates. Low maintenance and easy care. Beautiful blooms all season long. Perfect in containers and gardens. Rios can grow indoors for the winter. They require very little watering because they have built-in water storage in the form of tubers, which store water beneath the soil for the plant to use during dry spells. 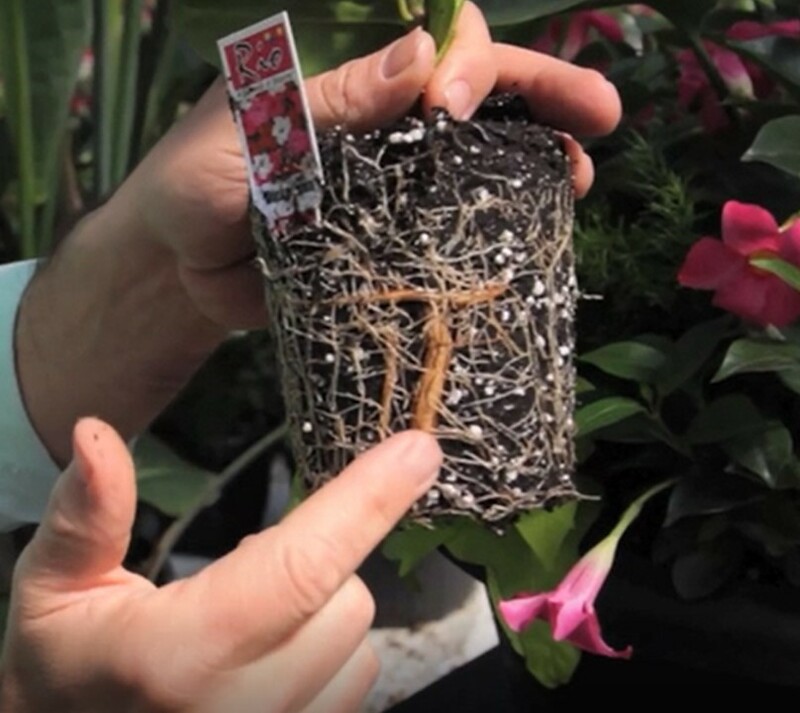 These tubers make Rio dipladenias the perfect choice for the busy, on-the-go gardener who isn't available to water frequently at home or at the cottage. "We travel a lot through the U.S. and Europe looking for plants to fit our changing climate," said Jeff Howe, president of Fernlea Flowers. "I'm not always around to water my plants every week, but these plants are so hardy, they are resilient for weeks without rain or my watering." 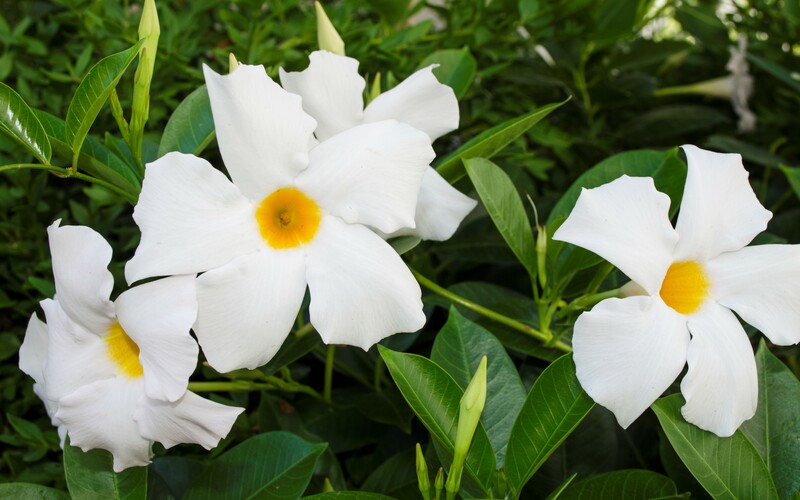 Vacationers and cottagers alike are often away from their gardens for extended periods of time, but the Rio dipladenia will make a garden look well tended rather than neglected for weeks on their own. Their beautifully shaped trumpet blooms grow on twining vines that reach 12 to 24 inches. They show well in a hanging basket or growing up a trellis or placed as a patio table centerpiece. The blossoms attract butterflies and hummingbirds. And no deadheading required! For almost 80 years, Fernlea has grown and supplied retailers and gardeners with the highest quality garden plants. As one of the largest owner-operated greenhouses in North America, Fernlea has facilities in Canada and the United States. With its main greenhouse and nursery located in Delhi, Ontario, Canada, the family-run company also has year-round outdoor nurseries in Florida and California. In addition to quality bedding plants, Fernlea offers Rio Dipladenia, Hawaiian Punch Hibiscus, Awesome Accents, Icicle Pansies and more.